The Sámi are the only indigenous people of the European Union. Peoples in independent countries are regarded as indigenous if they are descended from the populations which inhabited the country, or a geographical region to which the country belongs, at the time of conquest or colonisation or the establishment of present state boundaries and if they identify themselves as indigenous and retain, irrespective of their legal status, some or all of their own social, economic, cultural and political institutions. The status of the Sámi was written into the constitution in 1995. The Sámi have, as an indigenous people, the right to maintain and develop their own language, culture and traditional livelihoods. There is also a law regarding the right to use the Sámi language when dealing with the authorities. Since 1996, the Sámi have had constitutional self-government in the Sámi Homeland in the spheres of language and culture. 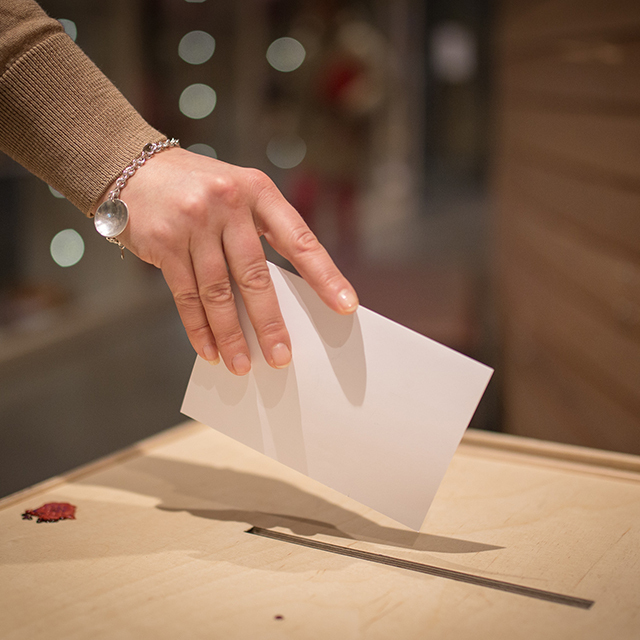 This self-government is managed by the Sámi Parliament, which is elected by the Sámi. The Skolt Sámi also maintain their tradition of village administration, under the Skolt Act, within the area reserved for the Skolt Sámi in the Sámi Homeland. 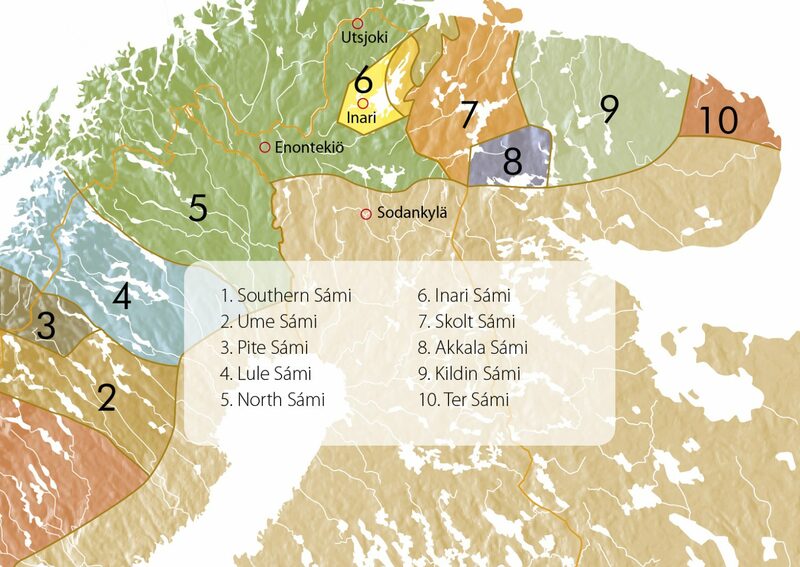 The Sámi Homeland is legally defined and covers the municipalities of Enontekiö, Inari and Utsjoki as well as the Lappi reindeer-herding district in the municipality of Sodankylä. There are about 10 000 Sámi in Finland. 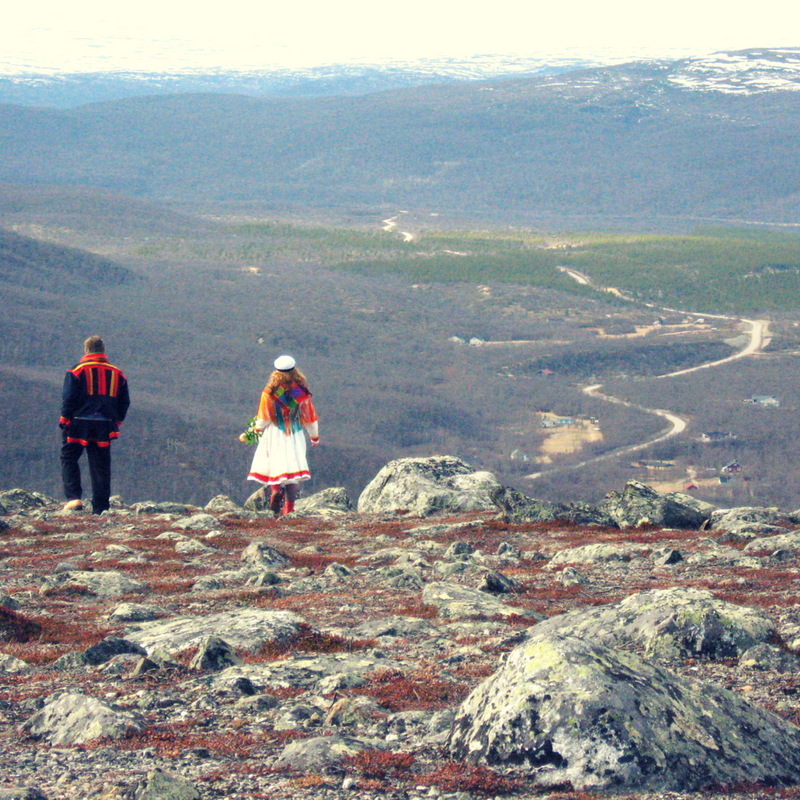 More than 60 per cent of them now live outside the Sámi Homeland, which brings new challenges for the provision of education, services and communications in the Sámi language. The total Sámi population is estimated to be over 75,000, with the majority living in Norway. In Finland, the definition of a Sámi is laid down in the Act on the Sámi Parliament and is mainly based on the Sámi language. According to the definition, a Sámi is a person who considers him- or herself a Sámi, provided that this person has learnt Sámi as his or her first language or has at least one parent or grandparent whose first language is Sámi. 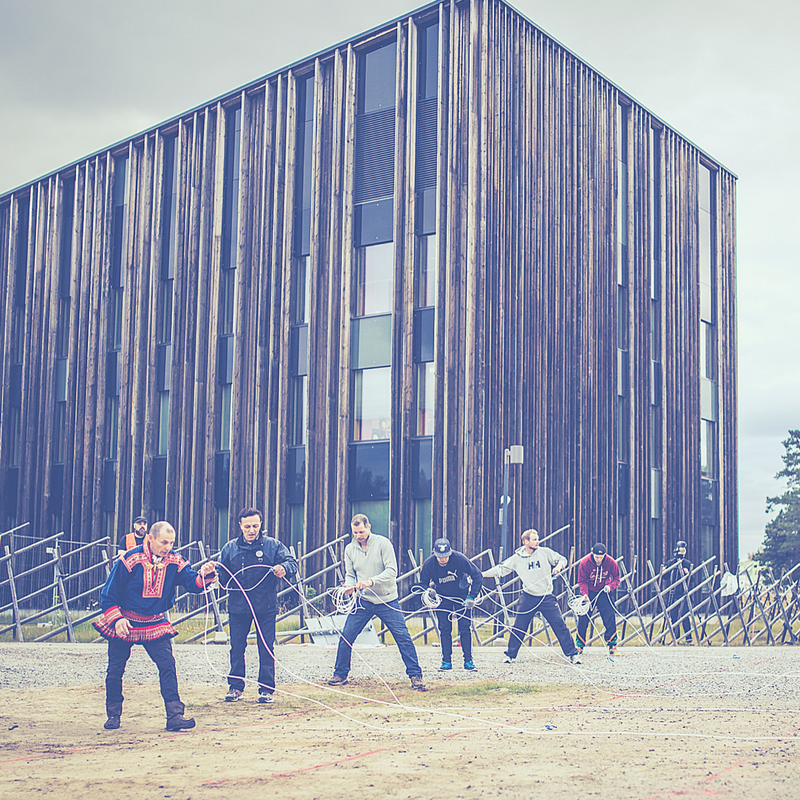 The traditional Sámi livelihoods are fishing, gathering, handicrafts, hunting and reindeer herding and the modern ways of practising them. 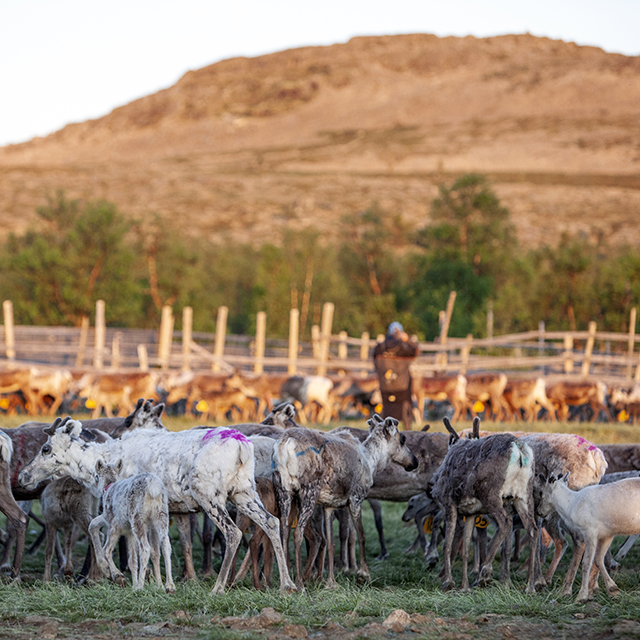 Out of the traditional Sámi livelihoods, reindeer herding still functions as one of the important cornerstones of the Sámi culture by offering both language arena as well as material for, among others, clothing, other Sámi handicrafts and food culture. Ever since the development of reindeer herding, reindeer has been an important form of transportation. The Sámi are descendants of the people who first inhabited the northern regions of Fennoscandia shortly after the end of the last ice age, approximately 10,000 years ago. Ethnically, the Sámi people was formed when the Sámi language and Finnish became two distinct languages around 2000 BC due to differences in livelihoods and culture. At its height, from the beginning of the Christian era to the 11th century, the Sámi region stretched from Lake Ladoga to the Arctic Ocean and from Central Scandinavia to the White Sea. With the exception of the south and south-west coast, the Sámi inhabited the whole of what is now Finland. From the 16th century onwards, the Sámi society was increasingly caught up in drastic changes caused by outsiders. The Nordic countries started to take control of the land of the Sámi by religious converting, supporting settlement and replacing the Sámi way of administration with a Nordic administrative system. Along with the establishment of present state boundaries, the Sámi area was gradually divided up. When settlement increased in the 19th century, the Nordic states launched a conscious assimilation policy which favoured the interests of the dominant population. The Sámi started to lose their own language and culture. The Sámi languages belong to the indigenous languages of Europe and are most closely related, within the Uralic language family, to the BalticFinnic languages (such as Finnish and Estonian). Sámi is spoken in Finland, Sweden, Norway and Russia. In Finland, there are speakers of three Sámi languages: North Sámi, Inari Sámi and Skolt Sámi. With approximately 20,000 speakers in Finland, Norway and Sweden, North Sámi is the most widely spoken of these languages. In Finland, North Sámi is spoken by approximately 2 000 people. Inari Sámi is spoken exclusively in Finland. Skolt Sámi is spoken in Finland and in Russia. In Finland, both languages have approximately 300 speakers, most of whom live in Inari. 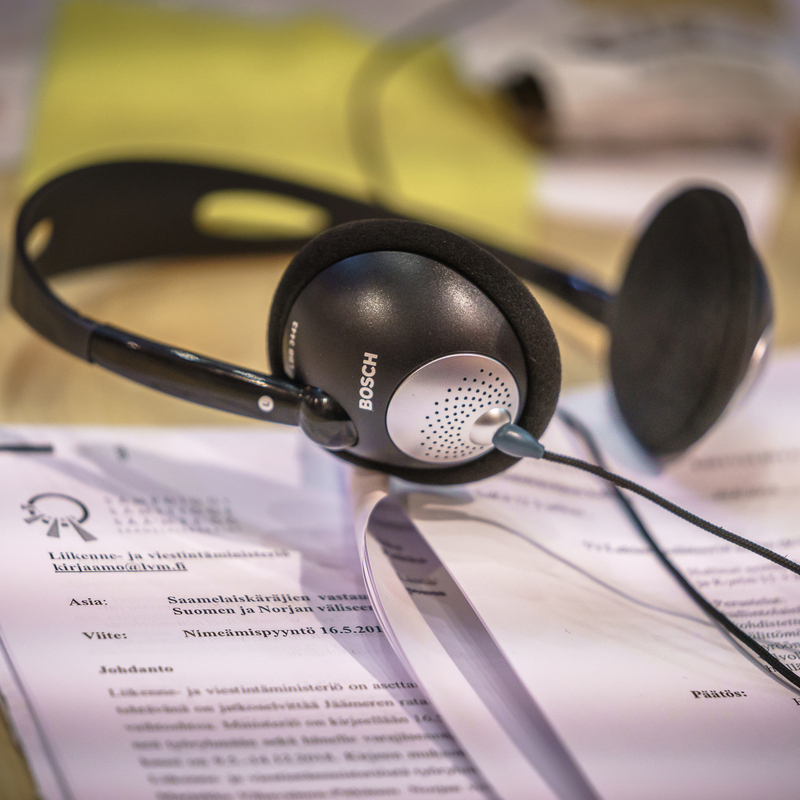 Under the pressure of the dominant languages, many Sámi have lost their mother tongue. Since the ethnic awakening in the 1960s, a variety of measures have been taken to preserve the Sámi languages and bring them back to life. The Sámi Language Act of 1992, revised in 2004, made Sámi an official language. Sámi handicrafts are practical objects that are handmade and based on old traditions. Even today, materials from the nature are the basis of Sámi handicrafts. The Sámi Duodji trademark guarantees that the product is an authentic Sámi handicraft made by Sámi. The Sámi dress is the most visible of the national symbols of the Sámi. 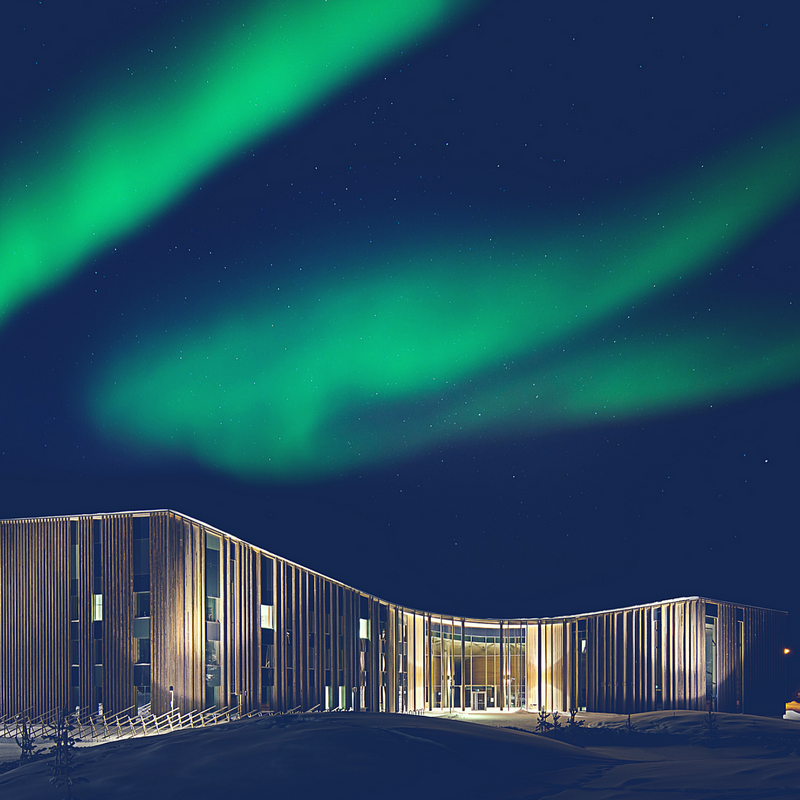 It carries the history of the Sámi people and is an important part of the national identity. The decorations of the costume, as well as the way it is worn, indicate which part of the bearer comes from and even reveal his or her family and marital status. In Finland, there are five main versions of the Sámi dress: Enontekiö, Inari, the Skolt Sámi, Utsjoki and Vuotso. The dress has previously been used as day-to-day clothing, but it is now worn mainly on special occasions. Sámi music is best known for the traditional North Sámi yoik, or luohti. Other traditional forms of Sámi music include the livđe of the Inari Sámi and the leuʹdd of the Skolt Sámi. Today, you can hear anything from rock, pop, rap, heavy, techno, dance to hymns and children’s songs in Sámi language. 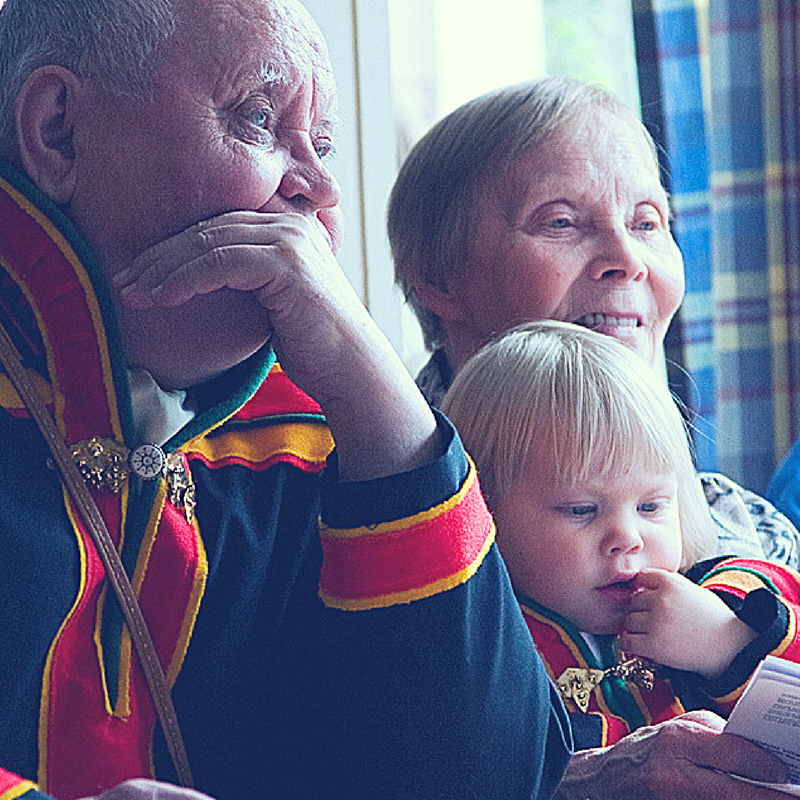 The Song of the Sámi Family is the official national anthem of the Sámi. The words were written by Isak Saba, the first Sámi Member of Parliament in Norway, and the music is by the Norwegian composer Arne Sørlie. The Sámi Flag was designed by the Sámi artist Astrid Båhl. The them was derived from the poem Sons of the Sun (Páiven párneh) by the south Sámi Anders Fjellner, describing the Sámi as sons and daughters of the sun. The circles represent the sun (red) and the moon (blue). 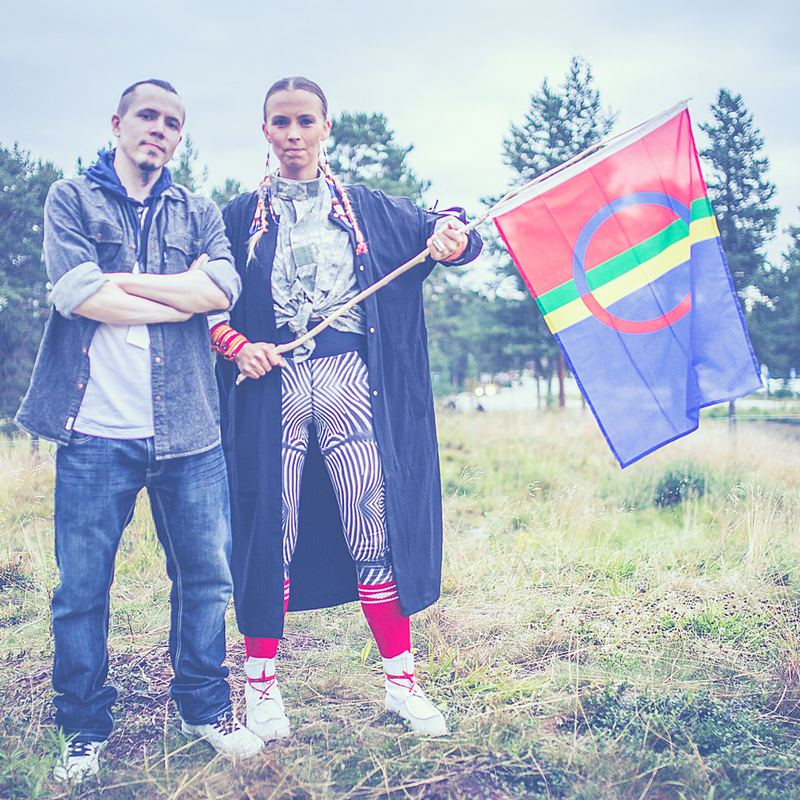 The flag’s colors – red, blue, green and yellow – are the same as in the traditional Sámi dress. The Sámi have twelve flag flying days adopted by the Sámi Conference, the most important of which is the Sámi National Day on 6th of February. This is the date when the northern and southern Sámi came together across their national borders for their first meeting in Trondheim, Norway. The flag may also be flown unofficially on special occasions.